Inspect Your Air ConditionerAs temperatures warm, you’ll want to stay cool. And in order to enjoy the benefits of cooled-air you’ll need to make sure that your air conditioner is running properly. Throughout the winter and spring months it is common for your air conditioner’s condensing coils to get filled up with dust, lint, grass clippings and other debris. This can impair the units function. If you have debris, it’s an easy fix. In most cases the debris can be cleared with a high-pressure spray down from a water house. It’s also important to clear the area around your air conditioner unit. This means no overgrowing vines or shrubbery that can hamper its ability to operate. Clean Up Your GrillThinking about hosting a few cookouts this season? Not before you clean the grill. If you don’t already have a grill cover, invest in one to keep it protected from the elements throughout the other seasons. Your first task includes scrubbing your grill grate with a wire brush. This should also be done every time you grill, but let’s face it, sometimes it’s overlooked. Next, remove and wash your burner protectors. These can be removed easily. Toss them in a soap-filled five-gallon bucket and get to scrubbing. After that, wipe up the grime from your burners and clean the plates underneath with a wire brush. The plates are also removable. Finally, remove the bottom tray that serves as a collect-all, give it a wash and put all of your pieces back in order. Then, you’ll be ready to throw some steaks on the fire. Check for PestsMany types of pests thrive in the summer months. Due to summer temperatures, which affects behavior and development of common pests, ample food sources and increased daylight, many house and yard pests thrive throughout these months. But homeowners can prevent pests. First, check moist areas around your home and yard, like the gutters, for example, as these moist areas are hotspots for pest activity. Take a hard look at your home and inspect the outside of your house for cracks, crevices and holes, as these can be used as access points for unwanted pests, large and small. While you may be able to treat and prevent a number of pests, some pests, including wildlife, require special removal. If you suspect an infestation it is wise to contact a specialist or professional, as these trained experts have the skills necessary to properly remove wildlife nuisances. Wash Your WindowsTake advantage of the warm weather, get outside and wash the windows. 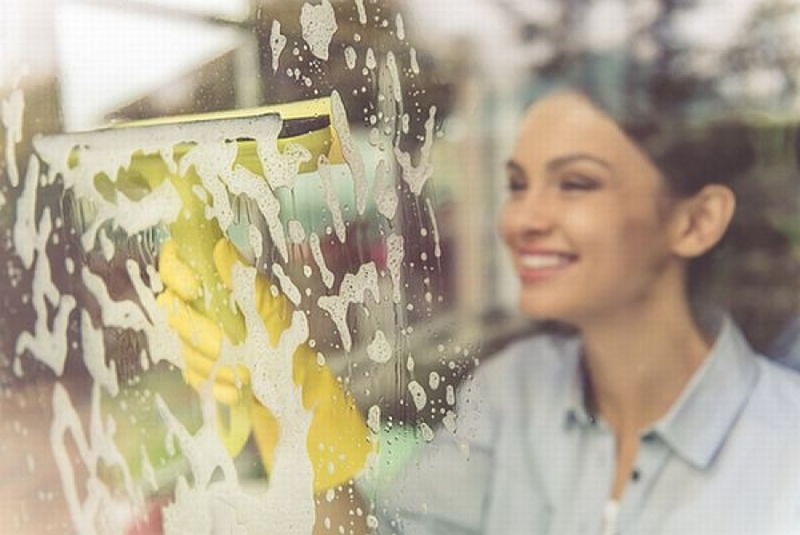 Ideally, your home’s windows should be washed twice per year. This task can be simplified and expedited with a squeegee. Instead of rubbing the dust and dirt around in a circular motion, opt for a strip applicator and use a solution of warm water and dishwashing soap. Next, wipe the window clean with a squeegee and clean up your window corners with a dry rag. For multi-pane windows you can customize a squeegee to fit the area by trimming it down with a hacksaw. It’s a simple solution for clean, streak-free windows.